The second installment picks up where its predecessor left off – you’ve commandeered an Orb aircraft and have chased your opponent, a fellow human named Phil, all of the way across the United States. Both of you crash – he gets away, while you accidentally end up killing another Manhunter. According to The Rules, you need to take up his job as a replacement, so the chase starts anew as you investigate more crimes, which once again all tie back to the original perpetrator. This time you’ll see famous San Francisco landmarks like Coit Tower, Embarcadero Center, the Transamerica Pyramid and Alcatraz. 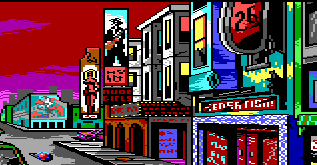 Manhunter: San Francisco doesn’t really fix many of the problems of its predecessor – it plays exactly the same, just with a new scenario. The only real improvement is the difficulty select for the arcade segments, but they’re still pretty obnoxious. 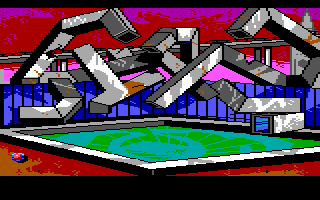 Did we really need a sequence where we spin around the empty Vaillancourt Fountain? 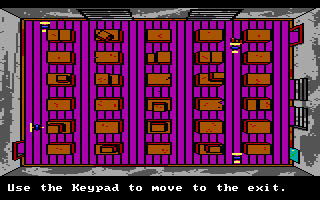 The game even uses the same AGI engine, which was already outdated at at the game’s release in 1989, when it was competing with far better-looking (and playing) games like King’s Quest IV, running on the vastly superior SCI0 engine. 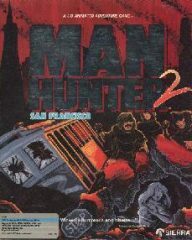 The posters throughout the series imply that Manhunter was meant to be a trilogy, teasing a third installment called Manhunter: London, where you’d finally track down Phil once and for all. For whatever reasons, this never happened, and the developers moved on to their own company. It would’ve been cool to see where they went, at least. 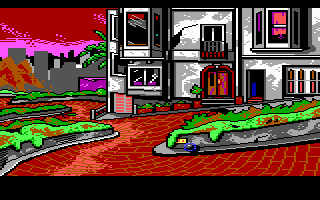 Most of the Sierra series really hit their stride with the SCI era games, and seeing the world fleshed out without the aggravating mazes or arcade sequences would’ve been great.